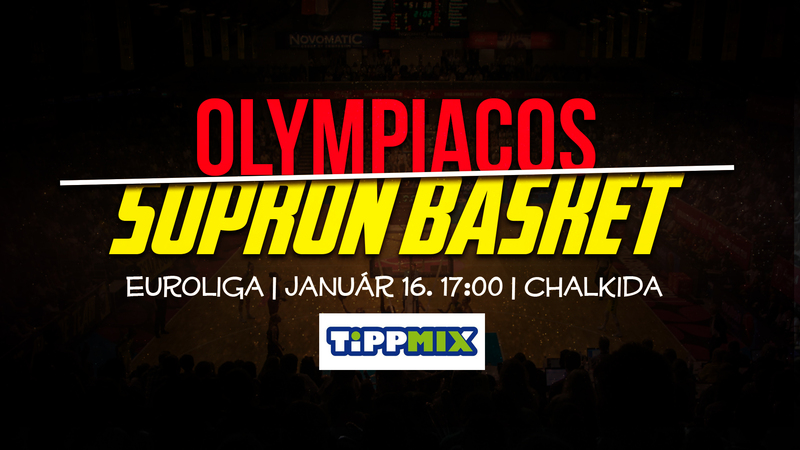 On Wednesday, at 5 pm Hungarian time we are playing guests to Olympiacos in Greece. Our opponents currently occupy the bottom place in our group, but that shouldn't mislead anybody. The board of Olympiacos that was founded in 1947 has made the decision to try themselves in the most prestigious women's basketball series, the Euroleague after three consecutive flawless domestic seasons. As a surprise they have eliminated Krak�w, who have a stronger roster than they do. However, they still await their first success in the group stage, and we hope that they will not get it against us. With 8 losses they stand at the bottom position of the group, but they haven't once been easy to beat. We can also remember that we had to fight really hard for our 16-point victory against a competitive Greek side. They were closest to winning in the last round before the winter break. That time the outcome of the game was in their hands against Salamanca, but in the final seconds they haven't paid attention to the rebound, and their rivals exploited their mistake. A week ago in Istanbul Fenerbahce also had to fight hard against them. Looking at the statistics it can be seen that they are mostly behind their opponents in regards of offensive potential. They have no less than 56 points fewer in that regard than the team in front of them, French side Carolo Basket. Despite the difficulties coming from injuries our team has had an amazing week. We have confidently won our games in Euroleague against Carolo, as well as in the domestic championship against DVTK. A couple of sorter periods aside we have been defending perfectly, dictated a rhythm, with which our rivals couldn't keep up. If we could keep performing on this level, than we will undoubtedly celebrate a win on Greek soil together with our fans, many of whom will be supporting their favorites at the venues, in Chalkida, 70 kilometers from Athens. After the Monday evening practice returning from her rehab program Tina Jovanovic shared her expectations with us regarding the match-up. The game can be followed at 17.00 (Hungarian Time) on Wednesday via online statistics on the FIBA page and via live stream on Euroleague YouTube channel.